GOLF-ball sized hail was reported in Goondiwindi and almost 1000 lightning strikes were recorded during severe storms on Monday night. 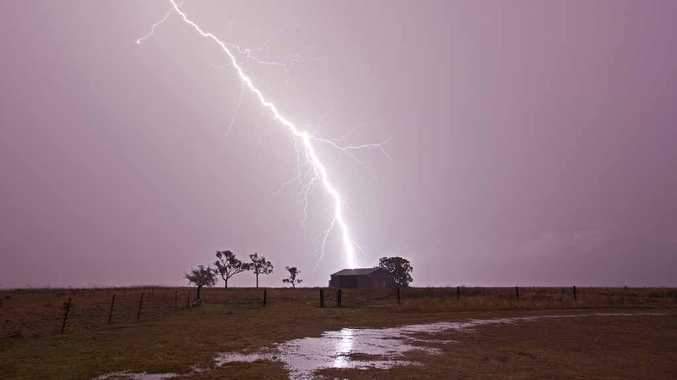 The line of storms brought widespread rainfall to the Southern Downs, putting on a spectacular lightning show. For Warwick stormchaser Chris McFerran, the storm heralded an early start to his favourite time of year. 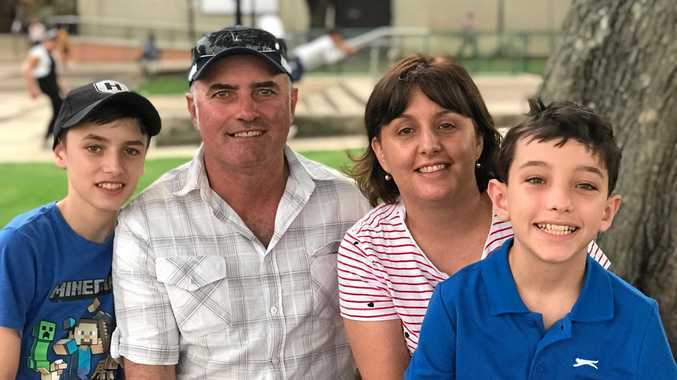 While the storm wasn't what he'd call a super-cell, Mr Mc Ferran described how it "suddenly exploded" as it approached Warwick. The avid weather photographer watched as intense lightning repeatedly struck dangerously close to his Loch Lomond home. "It was incredible - incredibly lightning active," he said. "They were just crashing around the house - the whole house was shaking." Armed with a new camera, the stormchaser said he was always ready for storms. "My new camera has a wireless remote trigger so I can sit in my car and control it with my iPhone." With his eyes on the forecasts, Mr McFerran is predicting an active storm season ahead. "There will be a lot of dry storms - low rainfall and very active lightning," he said. "There's a danger of lightning starting fires." The Bureau of Meteorology is forecasting more storms on Saturday.